An e-maill from a prospective vendor informed us that her father in law had served in the war and brought back a number of souvenirs, a common enough statement which usually results in an old bayonet an Iron Cross and a Nazi badge. However occasionally, the results can be very different and that is the case with Sergeant Savill's collection of “War Booty”. 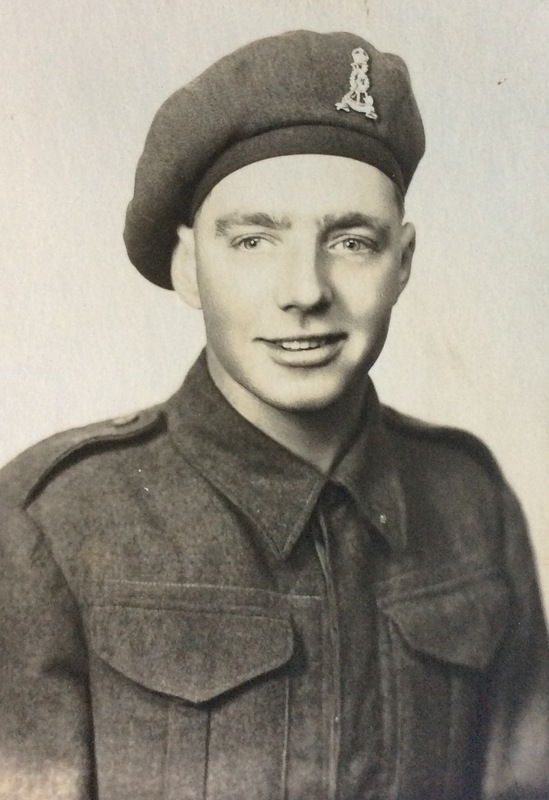 Sergeant Savill originally served with the Royal Army Service Corps before being wounded and transferred to the Royal Pioneer Corps. Posted to German in 1945 he was placed in charge of a small salvage unit, employing German civilians unpicking badges from tunics etc to be re-issued to the civilian population. Although Sgt Savill spoke little of his time in Germany, he did recall the strict rule of non fraternisation once when thanking one of his workers he was reprimanded by his Officer a strict rule of silence was employed. The war booty laid away in a cupboard gathering dust and only after his death was it rediscovered. The photographs shows how Sergeant Savill's collection of goods arrived at Bosleys. 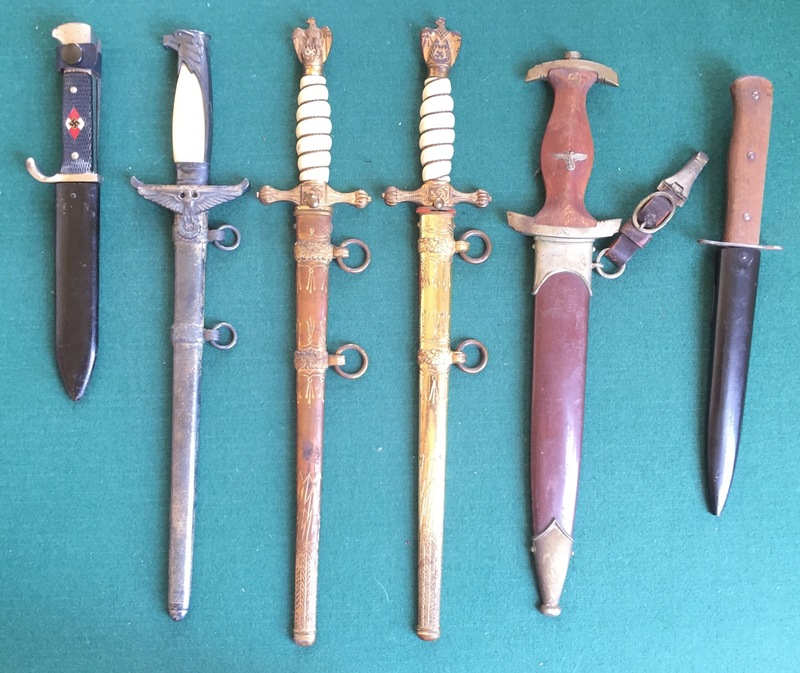 Unaware of what they had, his family were delighted to hear of the history behind some of the items and the surprise of some of the values, not least the rare Government Official’s dagger by Eickhorn, Solingen circa 1939-42 estimated at £1,500-£2,000. The items are to be sold in our 5th July sale and will form a special section within the German items of the Sale.